Sometimes you fall in love with a place, a moment in time or more importantly…a person! When all three fall into place you’re one lucky guy or gal! This adventurous duo started dating and shortly after took their first trip together and guess where that was? 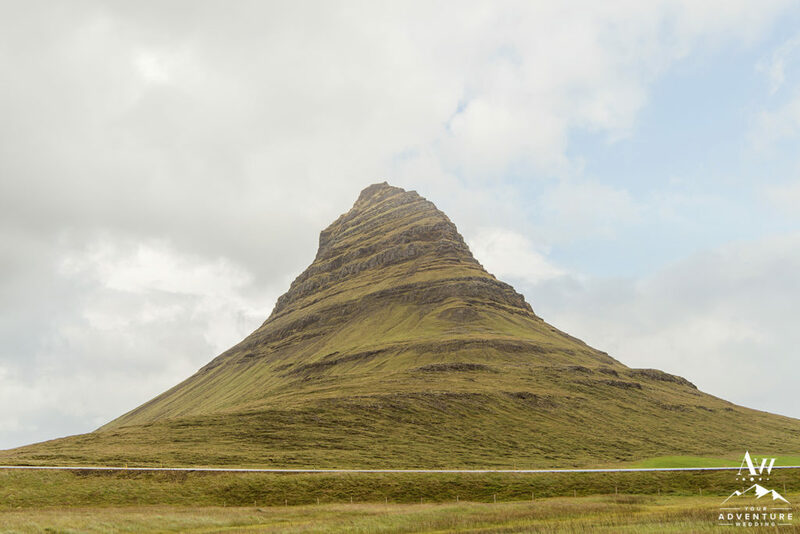 ….ICELAND! They were hooked. So when the topic came up of where they would hold their wedding, Iceland was the only place that felt right. We had so much fun Iceland wedding planning with these two! 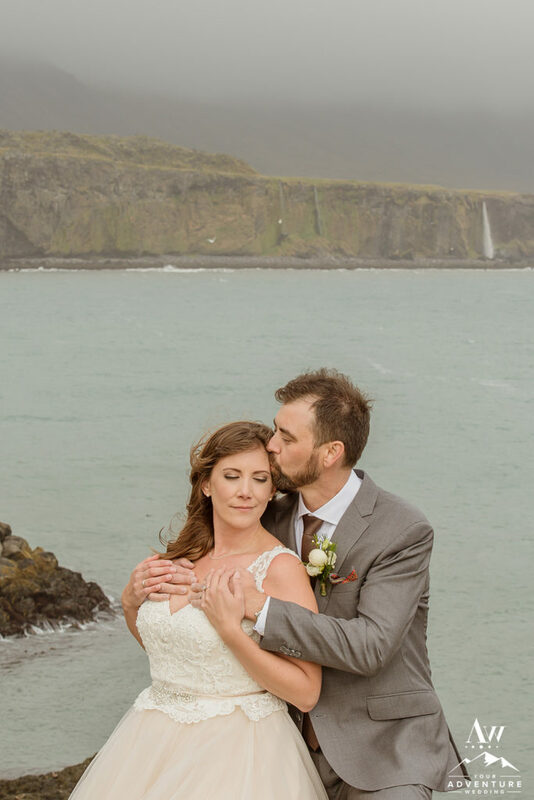 After much awesome debate, they decided that Hotel Glymur and the Snaefellsnes Peninsula needed to be part of their Iceland wedding adventure! How cute and practical are these sweet little Iceland wedding welcome bags? 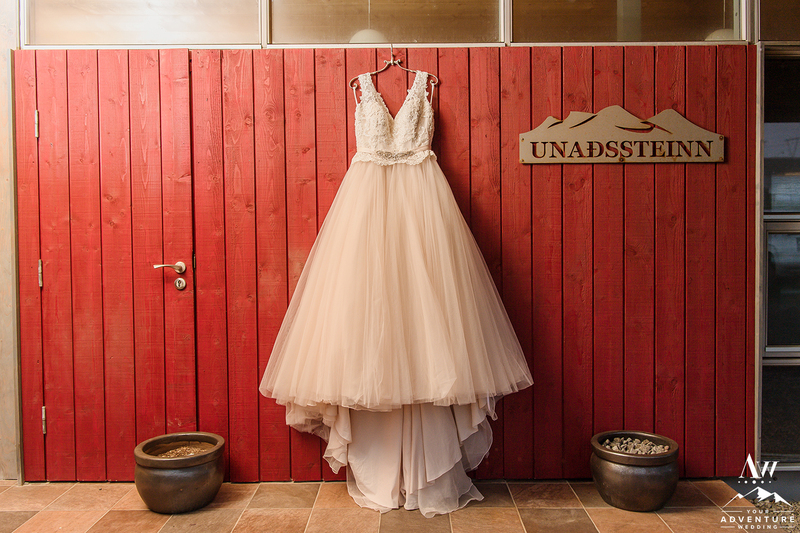 …and Jen’s Iceland wedding dress!!! Swoon! Perfect dress to blow in the Icelandic winds! My favorite kind of Iceland wedding shoes, are BOOTS! Love’me some Hunter rain boots and frilly dress for an adventure wedding! Jen and Jeff held a STUNNING Iceland Wedding Ceremony at Hotel Glymur overlooking the whale fjord (Hvalfjörðinn). 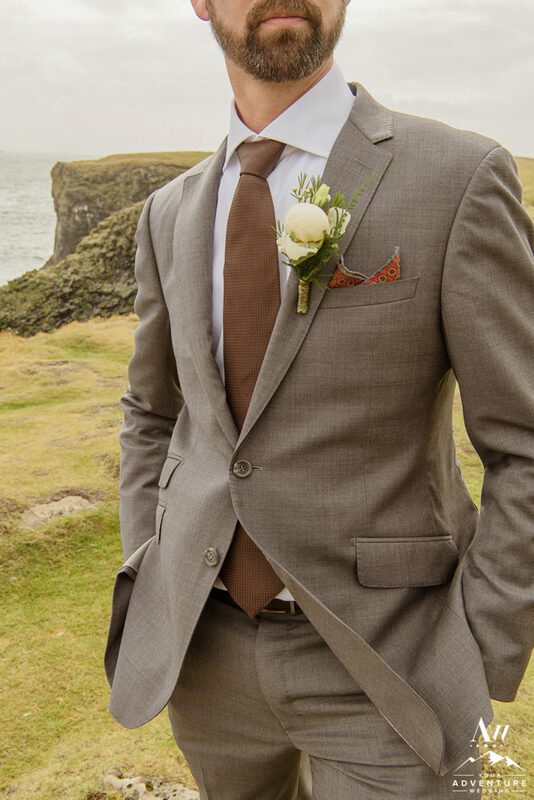 They chose to hold a beautiful Humanist Iceland wedding ceremony. The low lying clouds provided such a mysteriously beautiful backdrop. Once the ceremony concluded their 40 guests loaded into a bus for the day to embark on a wonderful Iceland adventure wedding day. Our first stop was the magical area of Arnarstapi. 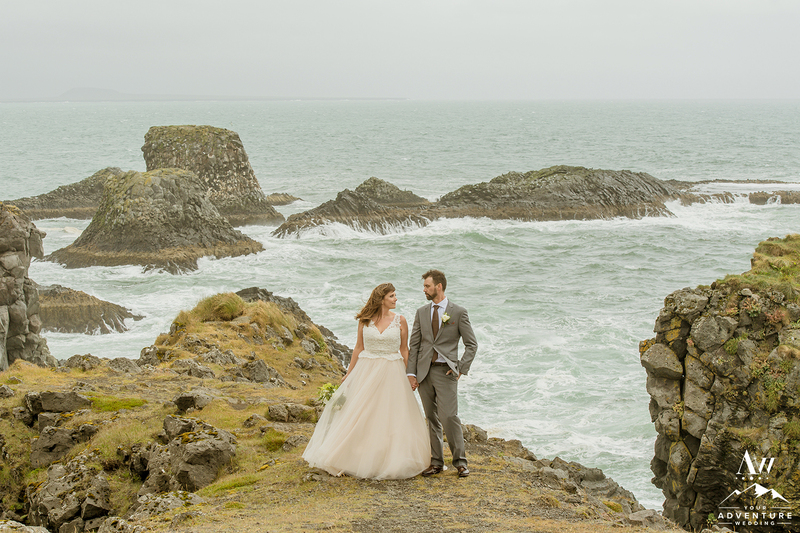 Jen + Jeff spent a little while exploring these inspiring windy seaside cliffs. If you already didn’t know, Iceland if flooded with waterfalls, especially on rainy days the island somehow becomes even more magically filled with them. Do you see the secret one behind them that falls into the sea? Dreamy! How lucky are they to take a romantic stroll through this rocky sea arch?! Heights worry Jen, but she was not worried along this stretch because from her perspective it looked like just a huge rock pathway (totally stable and awesome). But from my perspective it looks like this! Storybook! 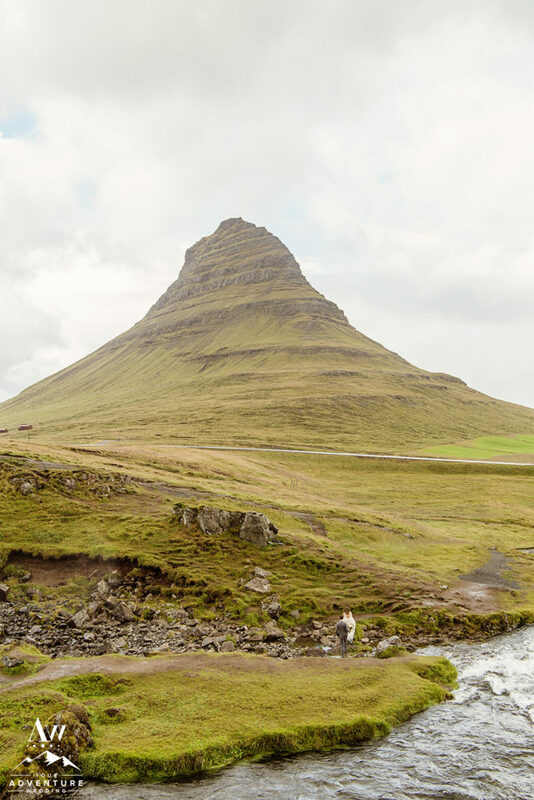 This one is one of my favorite moments during Jeff and Jen’s Iceland wedding adventure. Why you ask? Look at it! The incredible look of adoration they have on their faces, the waves crashing, the colors, the textures, and the tones!! 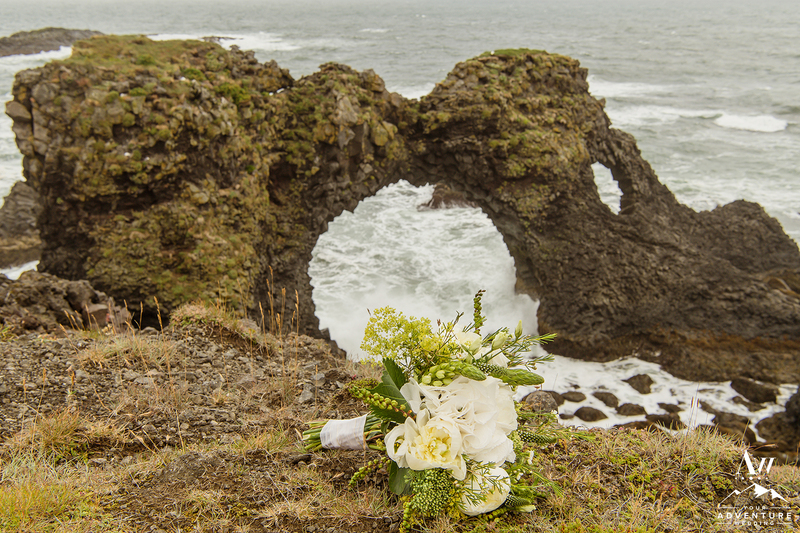 What do you think about Jen’s Iceland wedding bouquet?! I adore the whites with pops of green! Did you know that Arnarstapi is also a super sweet little fishing village too? Crazy cute houses line the area. 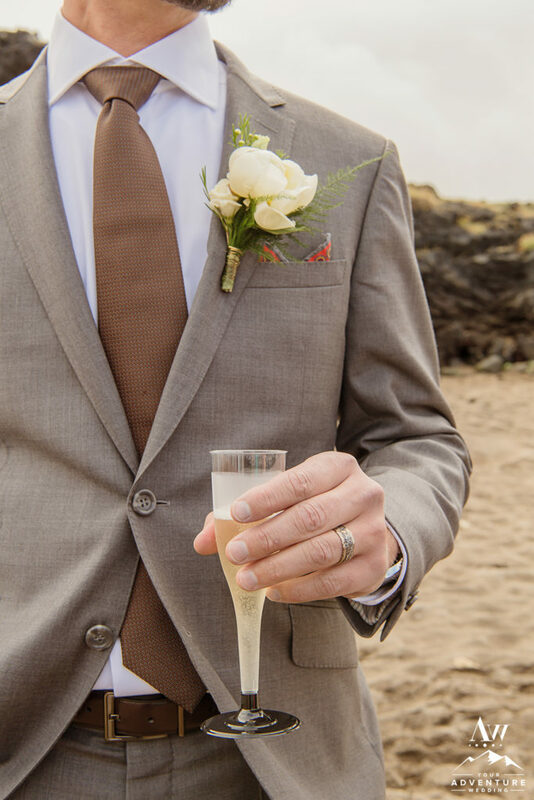 Jen + Jeff’s Iceland wedding day journey with their guests continued to taking breathtaking Iceland Wedding Photos at a Gorgeous Golden Sand Beach. 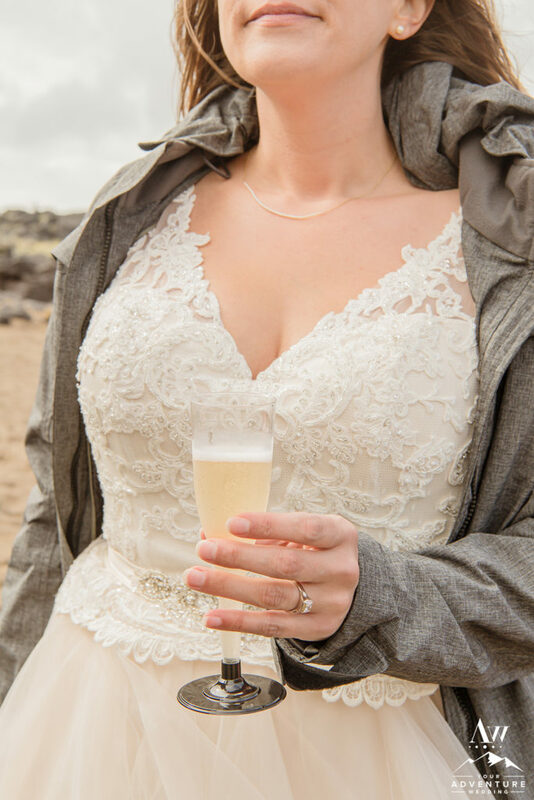 This fab beach was the perfect place to engage their guests in a delicious Iceland wedding champagne toast! The third stop these two surprised their guests with was the famed area in the Snaefellsnes named Kirkjufellsfoss where an incredible mountain and waterfall reside. 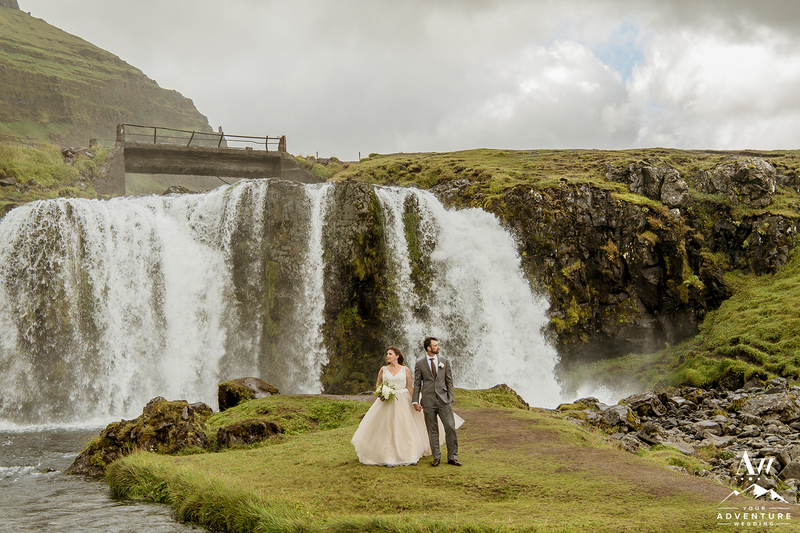 This is a very special place and I was thrilled to take their Iceland Wedding Photos at this striking waterfall! After the last stop, we were on our way back to the hotel and the guests had an hour to rest and refresh. Then at 8pm the guests were invited to enjoy a lovely Iceland Wedding Reception! The decor theme held strong elements of an earthy vibe complete with a moss runner down the tables, twigs, and candles both high and low. Hotel Glymur always puts on a mouth-watering show for our Iceland wedding clients. Jen and Jeff’s wedding was no exception, as they created an amazing custom menu option. A very special wedding dessert treat concluded Jen and Jeff’s very special night! How remarkable are their Iceland wedding rings? Custom and totally one of a kind! Ohhhhh Jen + Jeff!! Your day was extraordinary and filled with endless amounts of love, laughs, and just the right amount of adventure to delight in! I know Iceland is forever engrained into your souls so I look forward to seeing you again! …and wish you the very best on your exciting months ahead! Also head over to Mountainside Bride to see more of their beautiful day!